Bird of God by Joanna Mary Boyce, ca. 1861. 514 people in our community are currently praying with you. 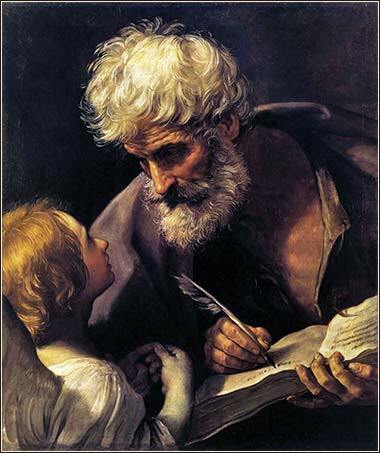 Saint Matthew and the Angel by Guido Reni, ca. 1625. You have heard that it was said to those of old, ‘You shall not murder; and whoever murders will be liable to judgment.’ But I say to you that everyone who is angry with his brother will be liable to judgment; whoever insults his brother will be liable to the council; and whoever says, ‘You fool!’ will be liable to the hell of fire. We have included the last sentence from yesterday's Scripture, because Jesus' speech about fulfillment of the law introduces a long section of topical lessons on specific types of sin. He has promised that the righteousness of the listeners would have to exceed that of the scribes and Pharisees — in short, that the extensive Mosaic law does not go far enough. The Greeks invented a term, dramatic irony, which means, basically, that a person watching a drama knows something that the characters on the stage do not. It is the staple of horror movies; someone walks carefully down a hall to open a door. The audience knows that there is a zombie on the other side and screams “Don't open it!” But the character does not know. Or, if you have ever read Romeo and Juliet, Juliet takes a potion that makes her appear dead; but she isn't really dead and will awaken in an hour. The audience knows this, but Romeo does not: dramatic irony. And as the audience watches in horror, Romeo takes his own life, believing Juliet to be dead and not wanting to live without her. Dramatic irony in Matthew 5:20 impedes our appreciation of it. We know that Christ will die in satisfaction for our sin, i.e., our inability to comply with the laws of God. So when we read “your righteousness must exceed that of the scribes and Pharisees”, or “whoever relaxes one of the least of these commandments . 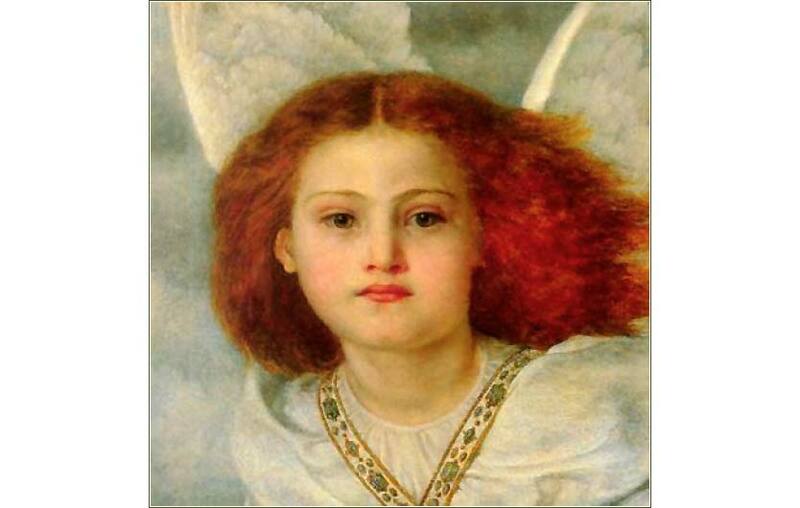 . . will be called least in the kingdom of heaven”, it does not affect us strongly. We realize something that the Hebrews listening to Jesus did not: their inability to comply with this impossible standard will be forgiven. But we profit more from reading the passage without dramatic irony. Forget, for a minute, everything you know about Christ. Pretend you are a Jew, seeking God in good faith, keeping the law. And with this state of mind, read Matthew 5:17-20; once you have that down solid, read some of the rest of Matthew 5. The capper is the last sentence in the chapter: “You therefore must be perfect, as your heavenly Father is perfect.” Christ's words are profoundly frightening. Who can live without becoming angry, or feeling lust? Am I going to have to put out my eye and cut off my hand? He is, essentially, telling the audience that they are going to burn in hell for eternity. Jesus meant for us to know this fear; He meant for us to feel this fear; He meant for us to appreciate that, no matter how bad our lives are on earth, they are going to get even worse when we die. Fear of God, says Proverbs 1, is the beginning of wisdom. We cannot fully appreciate Christ, and what He did for us, unless we know our terrible destiny without Him.